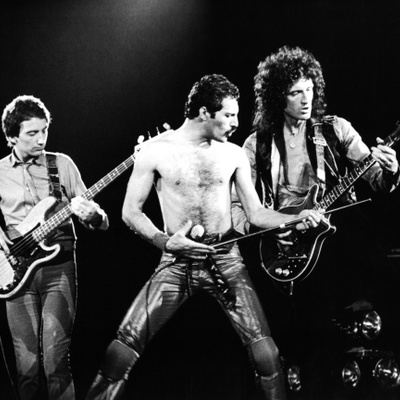 "Queen" were an English rock band originally consisting of four members: Freddie Mercury, Brian May, John Deacon, and Roger Taylor. The band formed in London in 1970 after May and Taylor's former band "Smile" split after having released an album and single. Freddie replaced lead vocalist Tim Staffell , after the latter's departure from the original trio. There was much deliberation as to what the band's name would be. May and Taylor had settled upon "the Grand Dance", derived from a C.S. Lewis Trilogy of books "Out Of A Silent Planet".